On March 12, the second tranche of IRS regulatory guidance on Qualified Opportunity Funds was submitted to the Office of Information and Regulatory Affairs. OIRA is a branch of the White House’s Office of Management and Budget. While the first tranche of regulatory guidance released in October of last year dealt primarily with real estate, this second tranche will clarify how the statute might work in the context of an operating business. But what specifically might be in this second tranche? And when will it be released to the public? 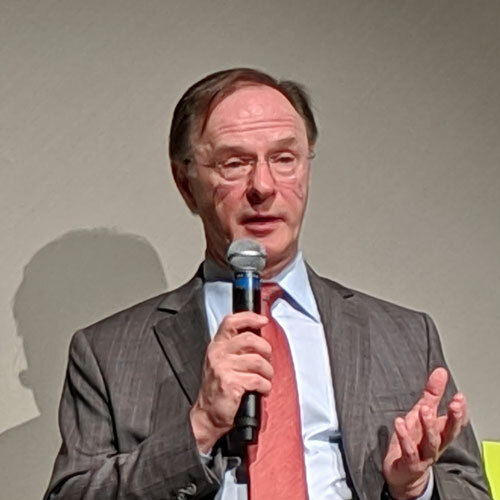 Daniel Kowalski, counselor to the Treasury Secretary, answering questions during the Coasis Coalition Opportunity Zone SuperConference in Dallas, April 4, 2019. 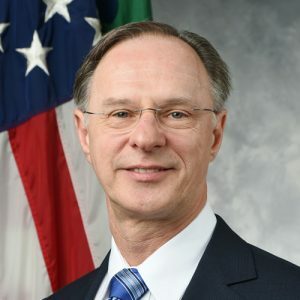 Daniel Kowalski, counselor to the Treasury Secretary, answered many questions during his prepared keynote address and subsequent Q&A session at the Coasis Coalition Opportunity Zone SuperConference last week. Last Thursday, April 4, he spoke to a room full of investors, developers, and other Opportunity Zones participants at the Plano Event Center just north of Dallas. Mr. Kowlaski noted that this regulatory guidance is a priority for Treasury and that his department is working diligently on it. OIRA generally has 45 days to review tax regulations, and there has continued to be some give and take on a few issues between the White House and Treasury. He expects that the second tranche of regulatory guidance should be ready for public comment by the end of April. In his prepared remarks, Mr. Kowalski listed six issues that he expects to be addressed by the second tranche of guidance. The definition of “original use” for both real and tangible property. The definition of “substantially all” as it relates to the use and holding period of Qualified Opportunity Zone Business (QOZB) property. Whether any additional rules regarding the “substantial improvement” requirement for tangible property are warranted, or would be useful. Whether it is appropriate to expand the concept of “working capital” to the development of business operations in opportunity zones. What is a reasonable reinvestment period for a Qualified Opportunity Fund. Transactions that may trigger the inclusion of deferred gains, sales, exchanges, and other transfers. In the second part of his prepared remarks, Mr. Kowalski listed an additional six issues that Treasury has received questions on, which may be clarified by the second tranche. The treatment of leased property and the assets, acquisition, and original use and substantial improvements test. How does one value a lease for purposes of the 70% test or the 90% test? The timing of basis adjustments for qualified investments of deferred gains. When would a taxpayer be able to utilize those to apply depreciation? Tax benefits that may be available for the secondary purchase of existing QOF investments. How to apply the capital gains tax benefit for QOF investments held for at least 10 years. Mr. Kowalski indicated that this second tranche of guidance should offer a fairly complete set of regulations regarding how Opportunity Zones work and how they fit into other parts of the tax code. Later this year, the IRS may follow up with a third set of regulations that would react to bad actors. But subsequent revisions to the regulations would be comparatively light. Treasury is also considering how to best structure information reporting requirements for QOFs. Mr. Kowalski indicated that they are cognizant of this demand, but that they are tax administrators, not social scientists. 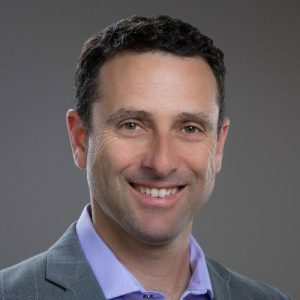 It is possible that the demand for reporting would be addressed not through regulation, but rather through an expansion to the types of questions asked on IRS Form 8996. But they do not want to introduce reporting that would become too onerous, particularly for smaller funds. Mr. Kowalski also stressed that the IRS cannot re-write legislation through regulations. But they welcome public comments on how to interpret the law in certain contexts. Mr. Kowalski concluded his prepared remarks by offering Treasury’s vision of the program. Treasury believes that the Opportunity Zones tax policy can be transformational. They believe that capital investment leads to business growth, which leads to better jobs, and wealth creation in distressed communities. They believe Opportunity Zones are an ideal vehicle to match entrepreneurs with investors who want to create positive social impact. Treasury wants to start a different conversation about economic development. In their view, economic growth comes from businesses responding to market demands, and a successful QOF will be a partner with a community and the qualifying business. Following his prepared remarks, Mr. Kowalski engaged in a Q&A session facilitated by conference panelist Jill Homan of Javelin 19 Investments. Regarding interim gains, there are two issues: Firstly, after a QOF sells an asset, it might be under the 90% invested threshold and therefore be liable for penalties. 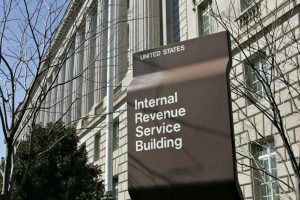 The IRS is considering allowing one year for that cash to be counted as compliant with the 90% test. Secondly, the IRS does not see the QOF statute providing for any type of IRA treatment in regards to interim gains. If the QOF has gains income, it will be liable for tax on those incomes. Barring a change by Congress, the December 31, 2026 date in the legislation is set in stone. It’s clear to Treasury that there was an intent for money to be deployed quickly and to reward early adopters. The reason for the 2026 end date is Congressional scoring. All the deferred money comes back in 2026, so that the tax revenue doesn’t get lost during the 10-year budget window. The White House Opportunity and Revitalization Council is working on a report that will speak to the different levers that different federal agencies can pull to give preference points for some of their programs to projects in Opportunity Zones. Treasury hopes that Opportunity Zones brings a whole different class of investors into these communities, and the White House Council will be part of these efforts. This second tranche of regulatory guidance will make it clear that investors can use Opportunity Zones for existing businesses in the zone that want to expand. There will be a mechanism for that. The guidance will define “substantial improvement” of business property, i.e. how to double the basis, because currently that clarity doesn’t exist. The statute is pretty clear that the tax benefit goes to deposits of reinvested gains, which doesn’t seem to fit carried interest. A fund in an opportunity zone doesn’t have to start out as a QOF. A fund can make the QOF election later. One way to establish would be to set up a fund that borrows money for prospecting work, and then the day before the fund begins to accept outside investing, it can re-organize as a QOF. That gives the fund more running room and more prep time. Treasury will provide guidance on how secondary sales might work for a partner who needs to divest before the end of the 10-year holding period. But it’s no different than a partner wanting to get out of a partnership under Subchapter K.
Ultimately, the tax rate that is applied to deferred gains in 2026 is not addressed in the statute. A potential increase in the tax rate is a risk. But there is nothing that Treasury can do about that risk. The public comment period on the second tranche of regulatory guidance should begin by the end of April. A public hearing would follow later this year. Special thank you to Coasis Coalition for organizing the conference and bringing in Daniel Kowalski as the keynote speaker.